Selling on yatra is easy and absolutely free. All you need is to register, list your product for respective business and and start selling. Register: Select the business type you want to start with Yatra like hotels, homestays, holidays, activities, flights etc and register via the form given above. Once your email id and phone number are verified, your account will be created. After this you will be asked to upload your KYC documents and after verification your registration will be complete with us. List: List your services for free on yatra We do not charge anything for the listing of the products on our website. After upload of the product, it goes through the curation process and you are ready to sell your products to Yatra customers on mobile APP and desktop. 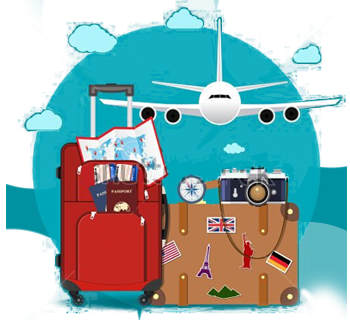 Added Services: yatra provides services like chat with customer, speak to customer, online bookings of the products with Easy and Secure Payment Option. Earn:Improve sales with yatra List your products on Yatra marketplace. On every customer’s purchase we will inform you about the sales so that you can take next ciurce of action.